The event will be hosted and emceed by Nexus Property Management GM/VP Gregory J. Rice. There is no registration or ticketing required. It is a first come first serve style event that will include complimentary food + drink. There is parking available off street in Nexus' lot. The event is a live panel discussion run by you in the audience. Where else do you get a microphone and the ability to talk directly to those on top of their game? Unheard of! 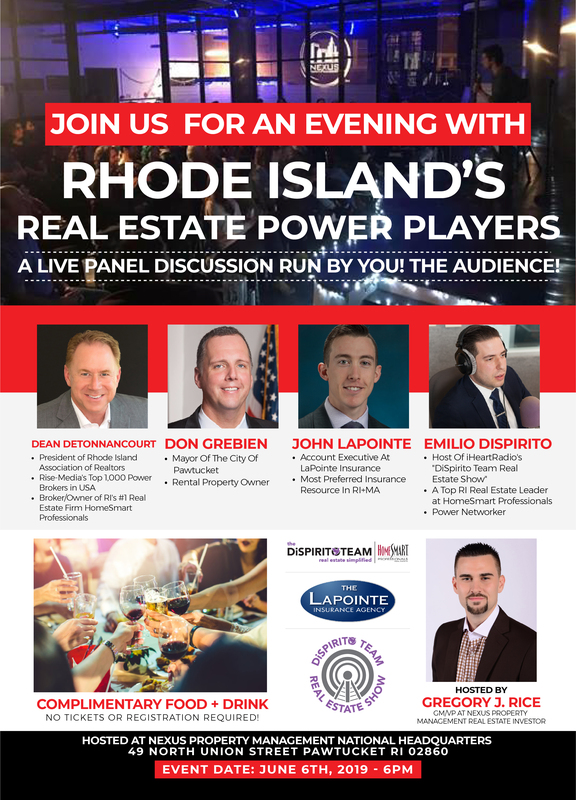 The event date is June 6, 2019, at 6 p.m. at Nexus Property Management's National Headquarters located at 49 North Union Street Pawtucket RI 02860.